Mireles, V., & Revenko, A. (2017). Evolution of Semantically Identified Topics. 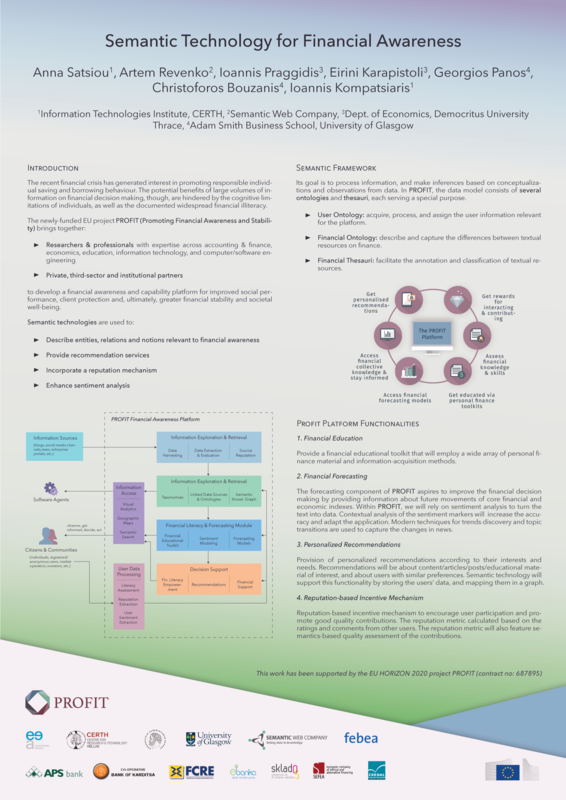 In Proceedings of the International Workshop on Hybrid Statistical Semantic Understanding and Emerging Semantics (HSSUES), ISWC’17 at Vienna, Austria. 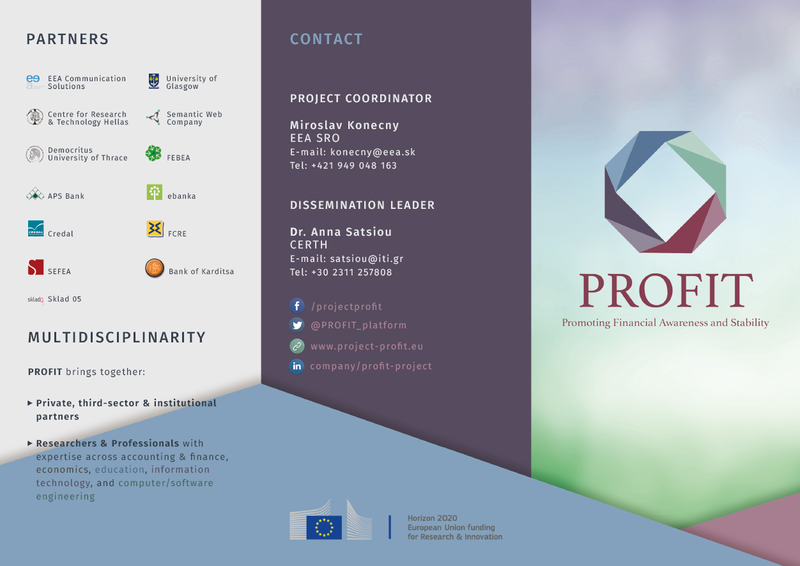 Karapistoli, E., Sarigiannidis, P., Karypidis, P.-A., Sarigiannidis, A., & Pragidis, I. (2017). Machine learning-based sentiment detection with data-driven n-gram feature induction, submitted for publication. Sarigiannidis, A., Karypidis, P.-A., Sarigiannidis, P., Karapistoli, E., & Pragidis, I. (2017). A novel learning automata based sentiment determination tool, submitted for publication. Apergis, N., & Pragidis, I. (2017). “The predictive power of ECB announcements”, submitted for publication. Montagnoli, A. Moro, M., Panos, G.A., & Wright, R.E. (2017). Financial Literacy and Attitudes to Redistribution, IZA Discussion Paper No. 10633. Katmada, A., Satsiou, A., & Kompatsiaris, I. (2016). Incentive Mechanisms for Crowdsourcing Platforms, in Proc. of the 3rd International Conference on Internet Science (INSCI 2016) published by LNCS International Springer, Florence, 12-14 September 2016. Satsiou, A., Revenko, A., Praggidis, I., Karapistoli, E., Panos, G., Bouzanis, C., & Kompatsiaris, I. (2016). 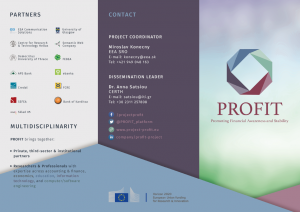 Semantic Technology for Financial Awareness, in Proc. 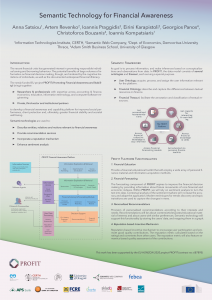 of the 12th International Conference on Semantic Systems, Leipzig, 12-15 September 2016. Paper poster. Click on the image for larger version. Panos, G., Gkrimmotsis, K., Bouzanis, C., Katmada, A., Satsiou, A., Gasparini, G., Prospero, A., Praggidis, I., & Karapistoli, E. (2016). 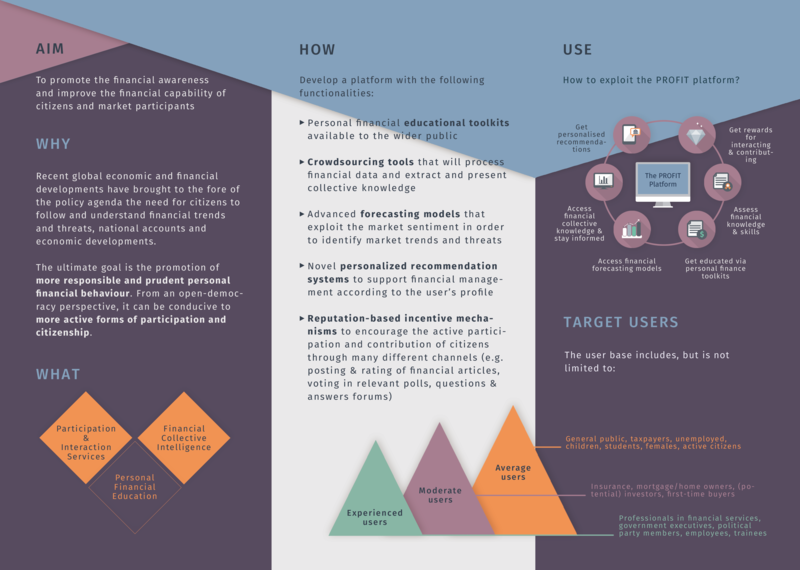 What do people expect from a financial awareness platform? Insights from an online survey, Collective Online Platforms for Financial and Environmental Awareness book, LNCS Springer International Publisher, December 2016. Katmada, A., Satsiou, A., & Kompatsiaris, I. (2016). A Reputation-based Incentive Mechanism for a Crowdsourcing Platform for Financial Awareness, Collective Online Platforms for Financial and Environmental Awareness book, LNCS Springer International Publisher, December 2016. Praggidis, I., Plakandaras V., & Karapistoli, E. (2016). Predicting Euro Stock Markets, Collective Online Platforms for Financial and Environmental Awareness book, LNCS Springer International Publisher, December 2016. Hobel, H., & Revenko, A. (2016). On the Quality of Annotations with Controlled Vocabularies, Collective Online Platforms for Financial and Environmental Awareness book, LNCS Springer International Publisher, December 2016. Montagnoli A., Moro, M., Panos, G. A., & Wright, R.E. (2016). Financial Literacy and Political Orientation in Great Britain, IZA Discussion Paper No. 10285.